Whether you’re staying home or going out for a fun dinner, here are 20 fun questions and trivia to share with your Valentine on Valentine’s Day this year! Have fun with these! Have a fun new experience together or get a gift you’ve been wanting for awhile for Valentine’s Day? Get a box of chocolates or flowers on Valentine’s Day? Stay in or go out for Valentine’s Day? Me read a love letter I’ve written to you or have me do something for you that means I love you. If your answer is to do something, what would that something be? Plan your Valentine’s date together or get surprised with a whole date already planned? Relive one experience we’ve shared together, what would it be? Improve our relationship in one way, what would it be? Name three traits you love about me, what would they be? Say one new experience you want to share this year together, what would it be? Win the lottery today, what would you do with your winnings for Valentine’s Day? The moment you knew you loved/liked me. Your first impression of me. Your craziest Valentine’s Day memory. Your favorite memory of us dating. I found all of these fun trivia questions from Valentines Day Trivia Quiz. It was so fun to play, I wanted to share my favorites with you and see if you can guess the answers. Here’s your Valentine’s Day Questions & Trivia! Have a fun time together! 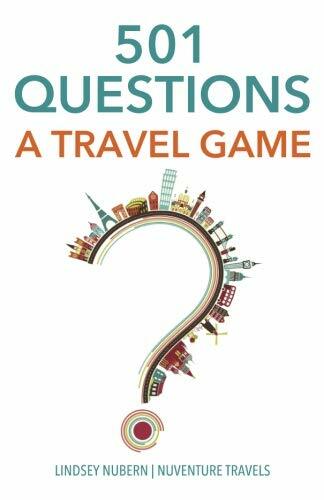 Get our fun new game 501 Questions: A Travel Game for 501 more awesome conversation starters to use on every adventure you take with the folks you love!